Göreme is a town in the Cappadocia region of central Turkey. The town is famed for its “fairy chimney” pinnacles of volcanic rock rising in the town center, and cave houses in the valley walls. 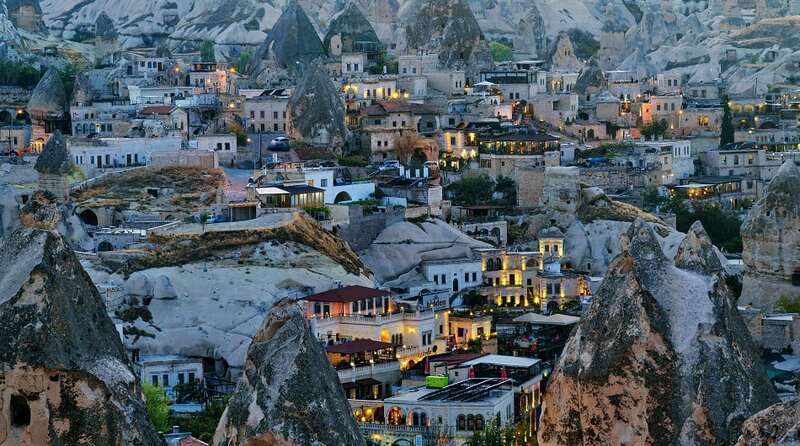 Göreme is fantasy city come to life.